Description: London: Daily Express / Beaverbrook Newspapers Ltd, 1968. First Edition. Pictorial hardback cover. 250mm x 180mm (10" x 7"). 114pp. 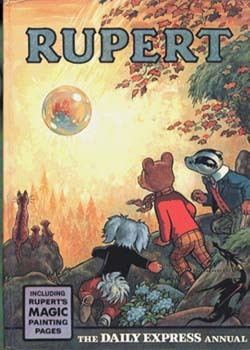 First story: Rupert and the Truant.. G: in Good condition without dust jacket as issued. Spine chipped. Magic paintings completed .